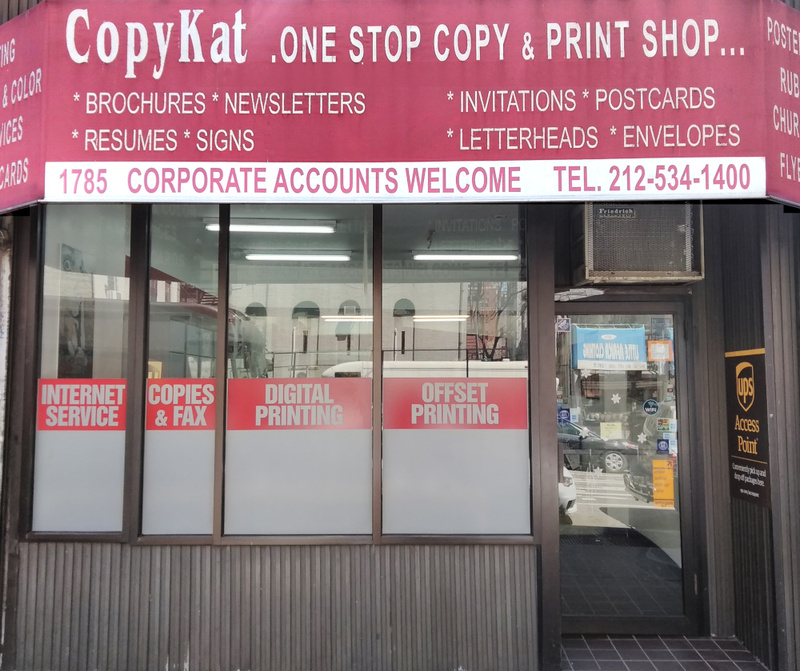 CopyKat, located in New York City, offers a wide variety of services that include high quality duplicating at fast speed. CopyKat specializes in printing in a timely and professional manner. We Established in 1997 as a full-service duplicating/print shop, and expanded into contract arena in the year 2000. Tab insertion, stapling, tape binding, etc.